Our Spring Walk for 2015 takes place on Saturday 16th May at 10:30am. Please meet at 10:20am by the picnic benches in Dog Kennel Hill Open Space. 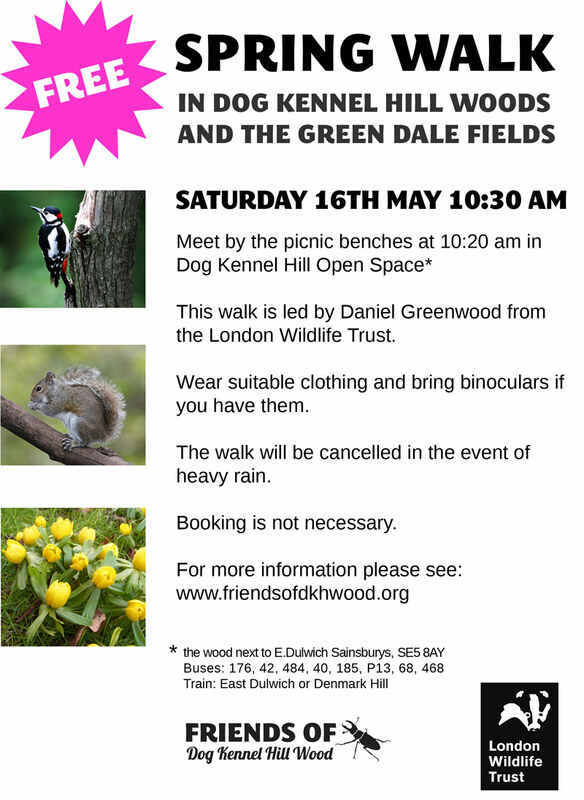 As before, the walk will be led by Daniel Greenwood from the London Wildlife Trust. Please wear suitable clothing and note that the walk will be cancelled in the event of heavy rain or gales. 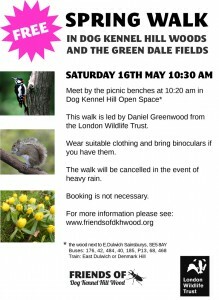 The walk will include Dog Kennel Hill Open Space, Dog Kennel Hill Wood and the Green Dale Fields, where White Throat have recently been heard singing.